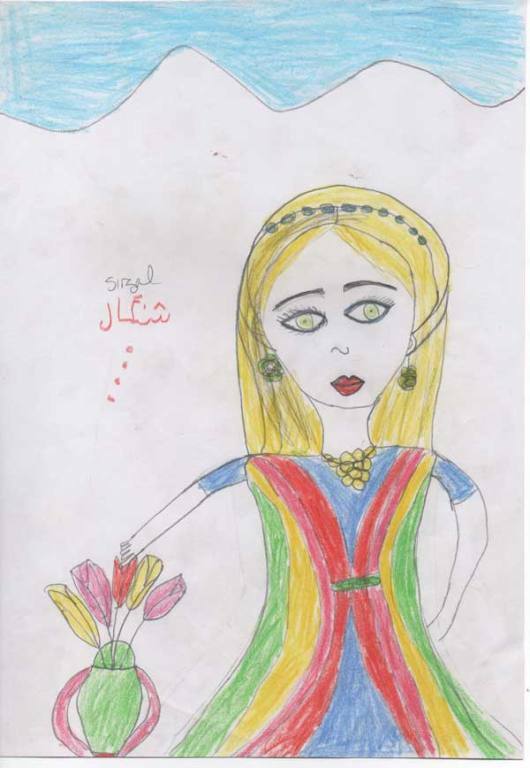 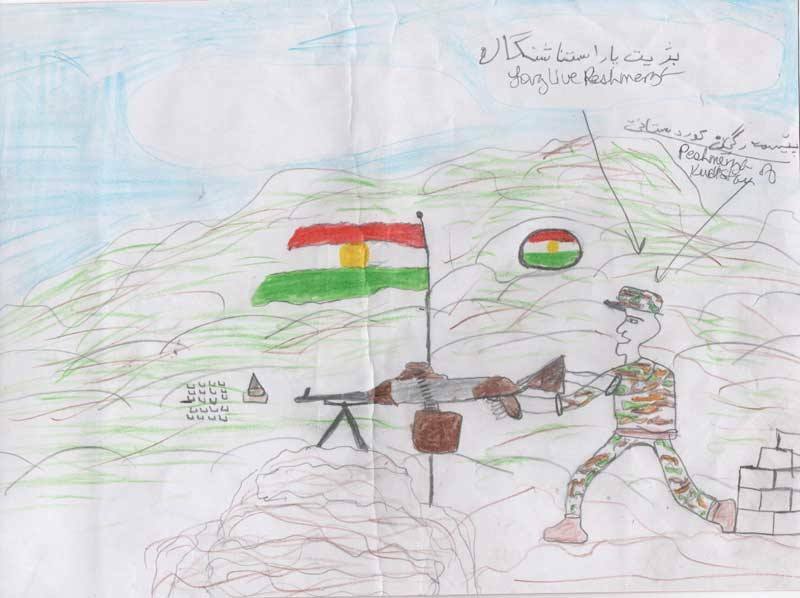 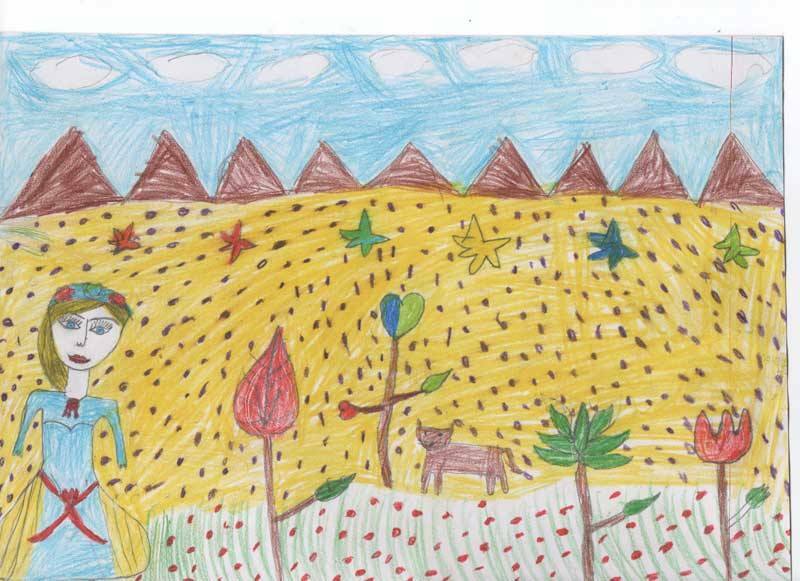 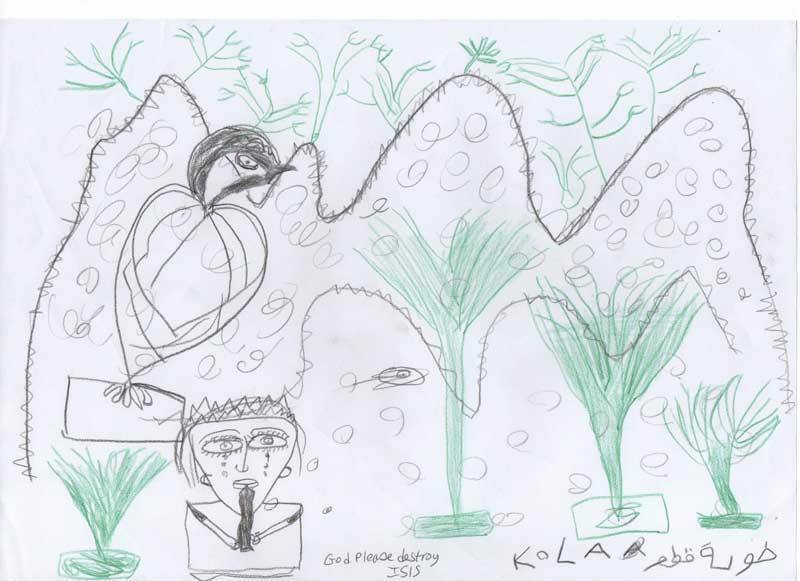 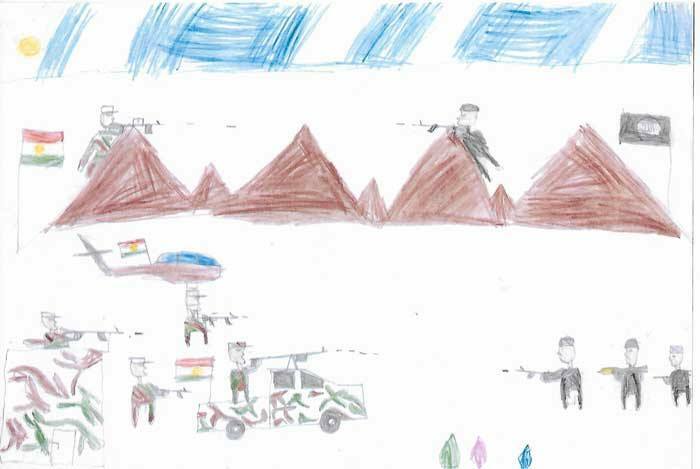 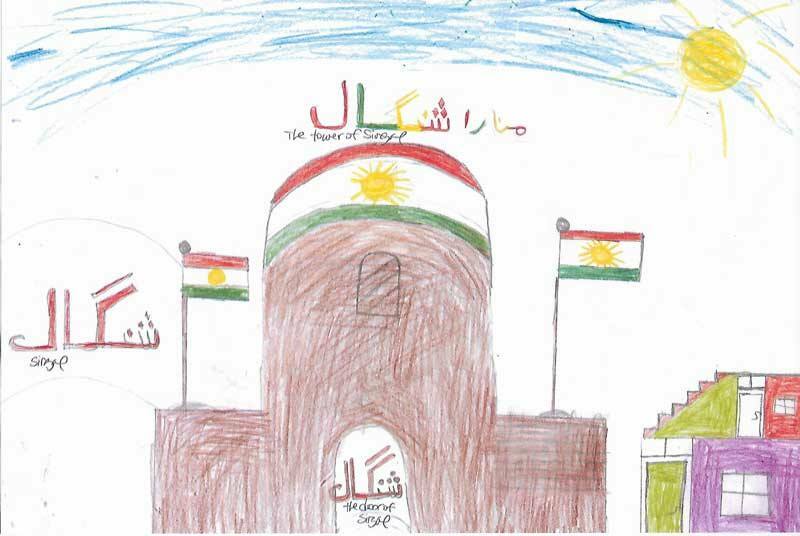 Many of the Yazidi drawings have mountains in the background or mention Sinjar/Sinjal Mountain. 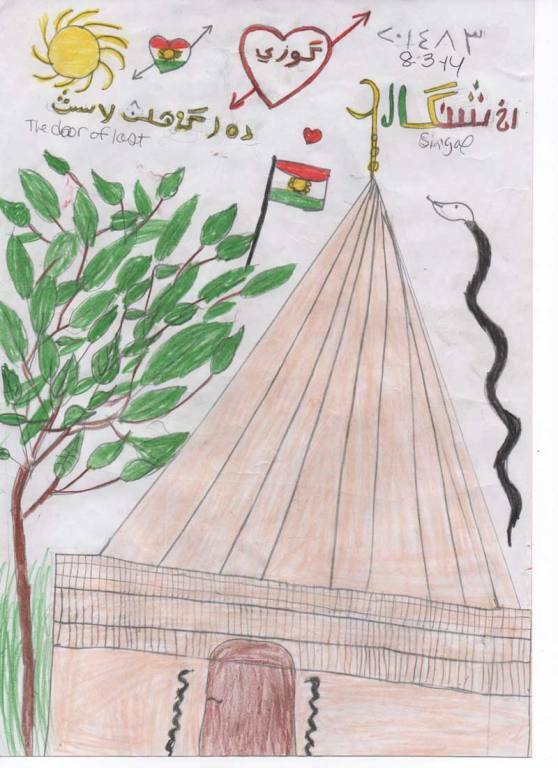 According to Wikipedia, the Yazidi's have historically used Sinjar mountain as a place of refuge and escape during conflict. 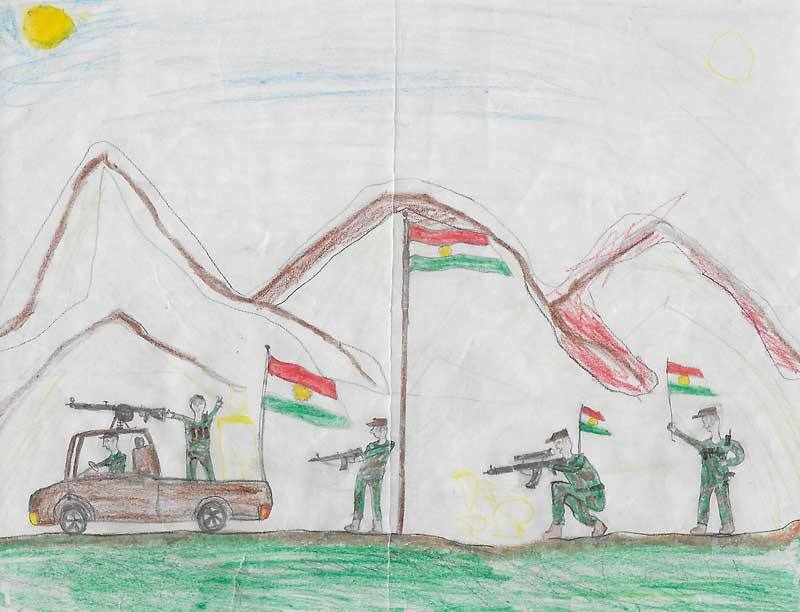 "Sinjar" "The door of last. 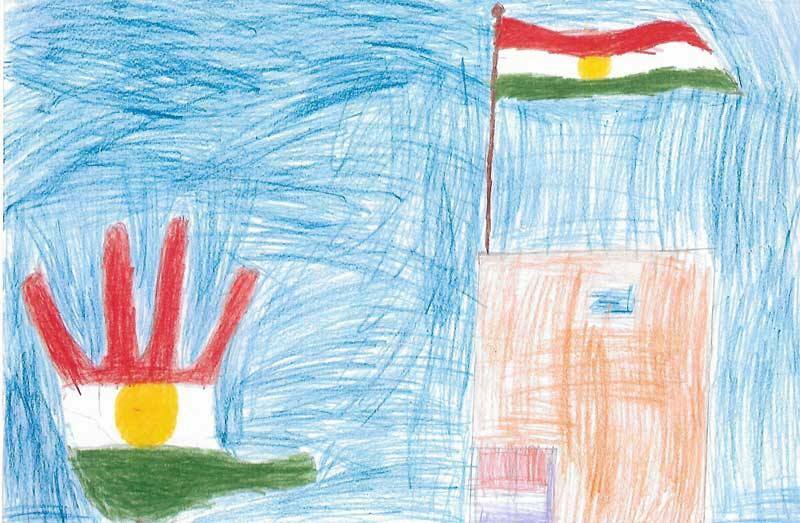 "Long live Peshmerga of Kurdistan."